Facing criminal charges in federal court? Get an attorney that understands the rules and procedures unique to federal court and federal criminal charges. 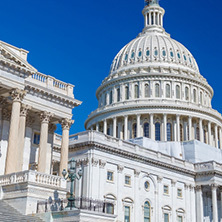 Our legal team understands the federal system and will guide you through the process. If you are charged with a felony in state court, let our legal team provide the counsel and advocacy you need to protect your rights and minimize your consequences. Misdemeanors have smaller penalties than felonies but can have a huge impact on your future. Our legal team can guide you through the process and help you get the right result. 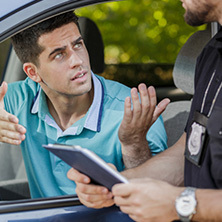 Whether you are facing a speeding ticket or forgot to vaccinate your pet, infractions and ordinance violations can cause you a lot of headaches and future trouble if not handled properly. For traffic tickets and ordinance violations, we’ve got your back! 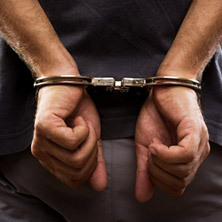 Are you facing federal or state criminal charges in northern Indiana? Look no further than Hanson Legal Solutions. Jim Hanson handles matters ranging from speeding tickets and city code violations to serious felonies in both state and federal court. If you need someone to fight for you in court or help with legal issues, call us now. Jim has the work experience that counts. An attorney since 2005, Jim has legal experience ranging from civil litigation to corporate law. Since 2016, Jim has focused his practice almost exclusively on criminal cases in state and federal court. 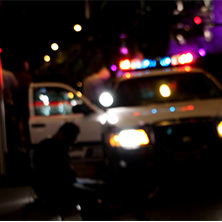 Jim and his team will work tirelessly to achieve an outcome in your criminal case that is proportionate and just. Our firm prides itself on treating our clients with dignity and respect. No matter what you’ve been charged with, we listen to your side of the story and explore every legally viable defense. We truly believe that the government must prove its case, and we make them do exactly that. We fight just as hard for our clients on issues related to sentencing as we do at trial. As an Army veteran who also has experience with Christian ministry work, Jim understands that life can be complicated and that a bad decision does not make you a bad person. No matter your situation, our firm is devoted to delivering you the focused and compassionate attention that you deserve. Contact us today to schedule a free initial consultation. We can’t wait to meet you. © Hanson Legal Solutions - Do not copy. All rights reserved.